For the first time, women make up the majority of first-year undergraduates at Carnegie Mellon University, a distinctive milestone among top-ranked universities that award the majority of their undergraduate degrees in science, technology, engineering and mathematics (STEM) fields. At 51 percent of the Class of 2021, the proportion of women is significantly higher than the national average for peer institutions, propelled by successes in recruitment across CMU's colleges and schools. The new parity between men and women comes at a time when CMU has had unprecedented success in attracting top students who have other outstanding options for college. Undergraduate yield, the percentage of admitted students who choose CMU over other schools, rose to 37 percent from 30 percent four years ago, an unusual leap in higher education. 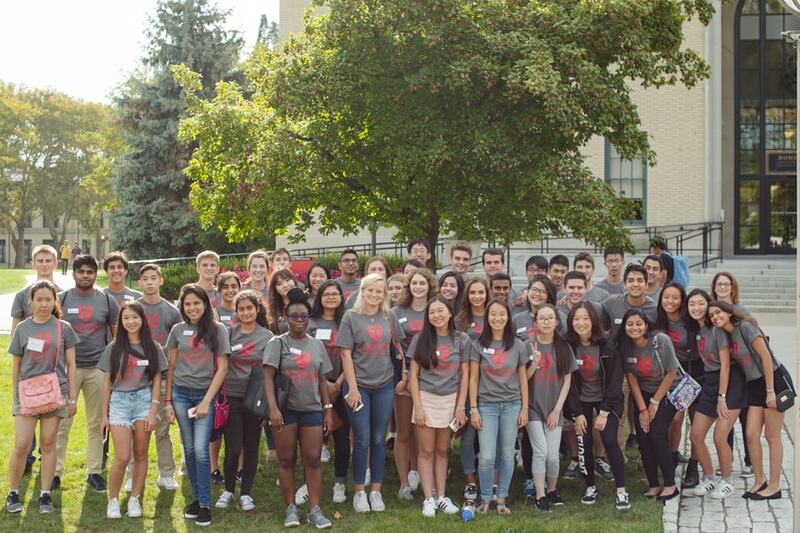 "More and more, Carnegie Mellon University is becoming the destination of choice for outstanding students who want a powerful education that will benefit them throughout their lives," said Farnam Jahanian, interim president. "This reflects CMU's historic academic strengths, our well-deserved reputation for innovation and collaboration, and growing culture of developing the whole person. "This is a major achievement, and a tribute to the relentless hard work by faculty and senior leadership across the university to offer a distinctive and transformative undergraduate experience," he said. "The quality and makeup of the incoming class is testimony to our strong belief that diversity in all forms makes for a stronger and richer learning environment," said Laurie Weingart, interim provost. "At CMU we don't just talk about it, we make it happen." This new high-watermark comes just one year after the percentage of women enrolled in the incoming undergraduate computer science and engineering classes at CMU reached record highs, between two and three times the national average for those fields. Those percentages remain high, with female enrollment in this year's incoming class at 49.8 percent in computer science and 43 percent in engineering. While computer science and engineering continue to draw disproportionate numbers of women undergraduates, this year's increase also is fueled by strong results in CMU's Dietrich College of Humanities and Social Sciences, Mellon College of Science and Tepper School of Business, said Michael Steidel, dean of admission. The proportion of women has grown as average SAT scores have remained high and the percentage of Pell Grant eligible students has grown, Steidel said. "As we look at the factors that helped attract this record-breaking class, each college and school has its own story to tell," Steidel said. "What they have in common is a clear priority to attract diverse and outstanding students, and faculty and leadership that make it their own mission to foster that culture." In the Dietrich College, the number of women choosing the college's most popular major, statistics and data science, has risen sharply over the last three years. Dean Richard Scheines credits the department's distinctive emphasis on data across all academic disciplines — and the real-world relevance that carries for students. "We provide an alternative model at a time when traditional liberal arts programs have come into question," Scheines said. "Our innovative, data-driven approach to the humanities and social sciences resonates with students, who are driven toward making a positive impact on society." The Mellon College of Science has consistently been a leader at the university in the percentage of female students majoring in STEM fields. This year, the college saw a significant jump in yield following the introduction of a new undergraduate curriculum designed to educate the whole person in addition to providing rigorous training in the fundamental sciences. Steidel and Dean Rebecca Doerge said the new model is really beginning to resonate with prospective students and families. At the Tepper School of Business, 57 percent of the incoming undergraduate class is made up of women, up by 12 percentage points over the past year. Leaders give credit to that unusually strong showing for a business school to a climate in which diverse perspectives are valued in the classroom, team projects and extracurricular activities. 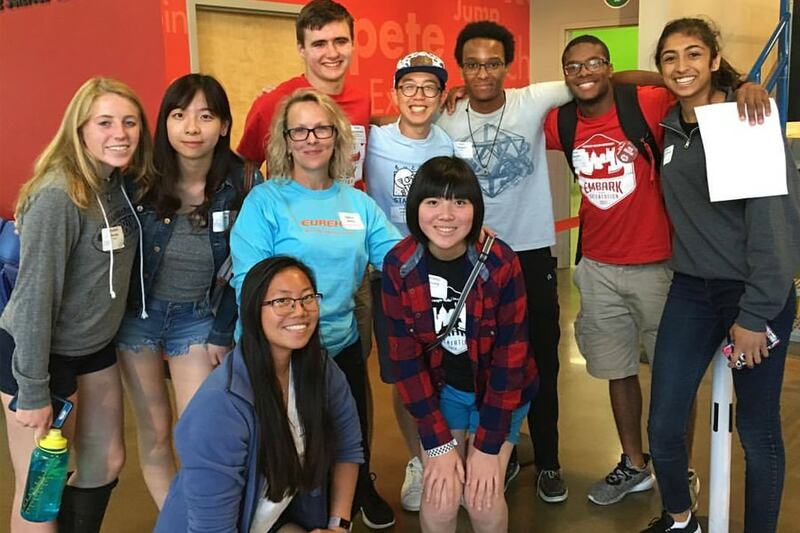 Dean Robert Dammon said it reflects a concerted effort by senior administration, faculty members and current students in the Tepper School to cultivate an environment of experimentation and collaboration. 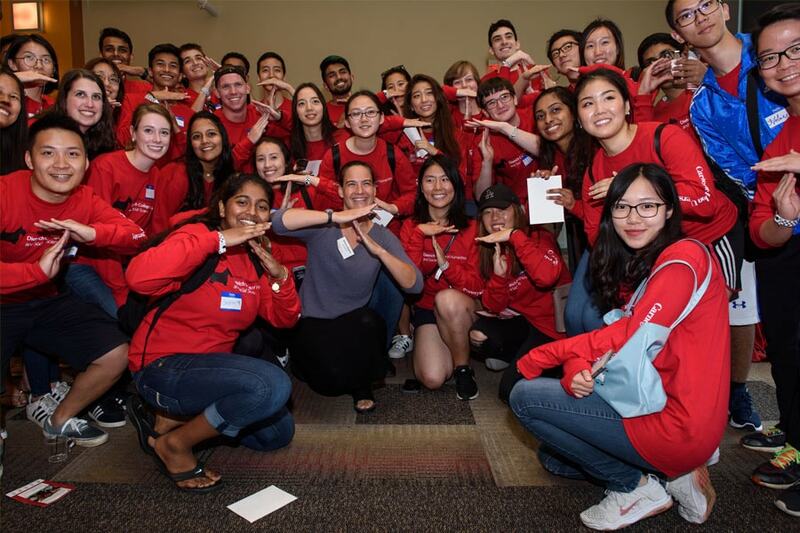 "We have such a strong track record of women taking leadership roles during their Tepper educations, whether it is in student organizations or other venues," Dammon said. "That culture, at a school that helps them to develop the skill sets employers need at the intersection of business, technology and analytics, is making a difference." This increase in female enrollment comes as the construction of the David A. Tepper Quadrangle nears completion, with an anticipated opening in 2018. In addition to housing the Tepper School of Business, the 305,000 square-foot building will create a flexible, collaborative learning and research environment that benefits the entire university. Steidel said as this year's class settles in, leaders across CMU are looking for ways to build on this momentum. "At CMU, we really do have something distinctive to offer, something that is particularly attractive to students right now," Steidel said.